I have been involved with horses my entire life. 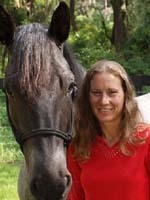 I grew up riding and training horses on plantations and large farms throughout both South Georgia and North Florida. My passions in life have always been horses and farms; thus, it just seems natural for me to help others in the horse industry find their own horse farms. I am able to use the knowledge and experiences I have gained to help find that perfect farm or home for someone whether it is for personal use, a winter get away, or a successful equine business. Are you ready to put your property on the Market??? I have had experience traveling throughout the entire state showing and trail riding. From that, I can provide my personal experiences and hopefully useful information about what Florida has to offer with regards to the best places for trail riding or starting an equine business. My goal as a real estate agent is to help you find the perfect farm in the best location that will suit your equine needs and wants. After all I understand that if our horses are not happy, we as their owners will not be happy! I am able to use the knowledge and experiences I have gained to help find the buyer for your home. Whether it is for personal use, a winter get away, or a successful equine business, I understand the importance of how horse farms need to be set up to for the best possible use of the land and the needs of both the horses and the people. Are your plans to purchase? I am dedicated to find you the property of your dreams. I am able to use the knowledge and experiences I have gained to help find that perfect farm for someone whether it is for personal use, a winter get away, or a successful equine business. I understand the importance of how horse farms need to be set up to for the best possible use of the land and the needs of both the horses and the people. So, feel free to give me a call today. I'll be pleased to go to work for you.